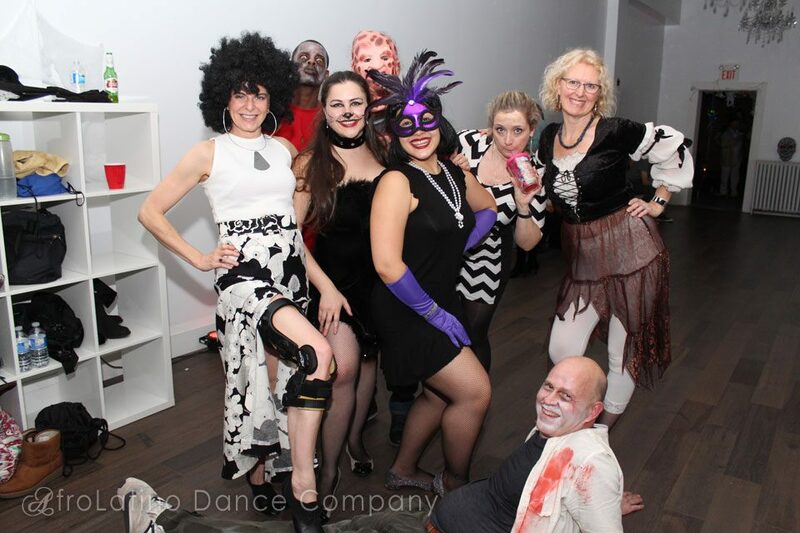 One of our favourite festivities in the whole year, Halloween has that magical fantasy reliving even if just for a few hours (or a few days in some cases), where everyone can dress up in some character, put on the craziest makeup, and go meet other equally fun-minded individuals. 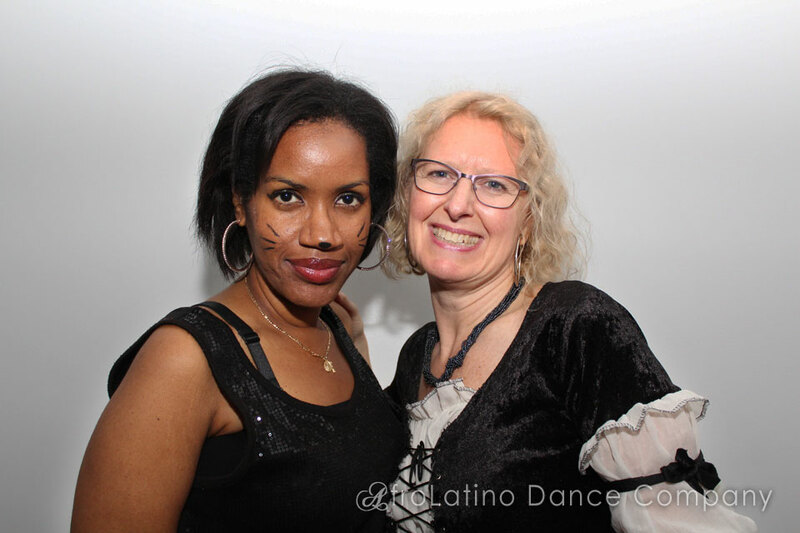 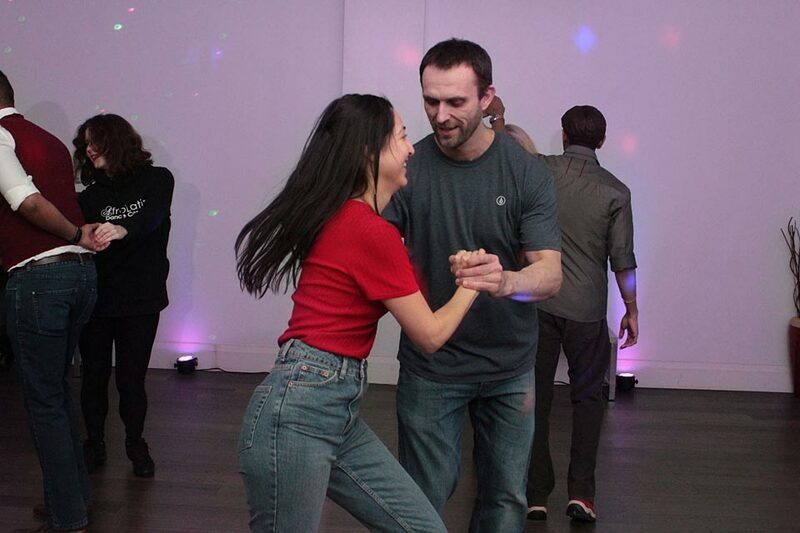 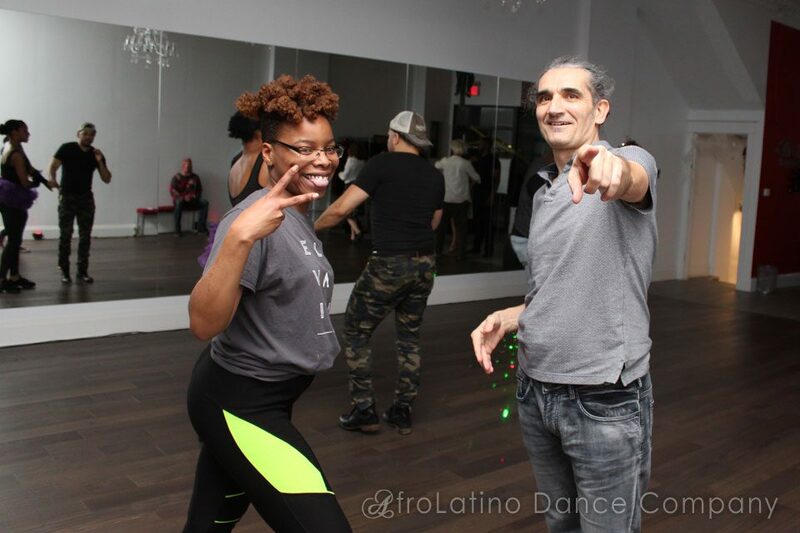 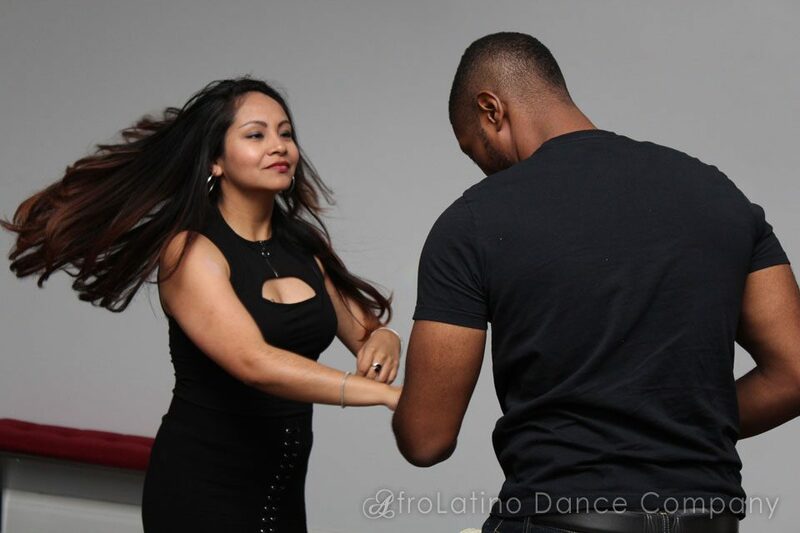 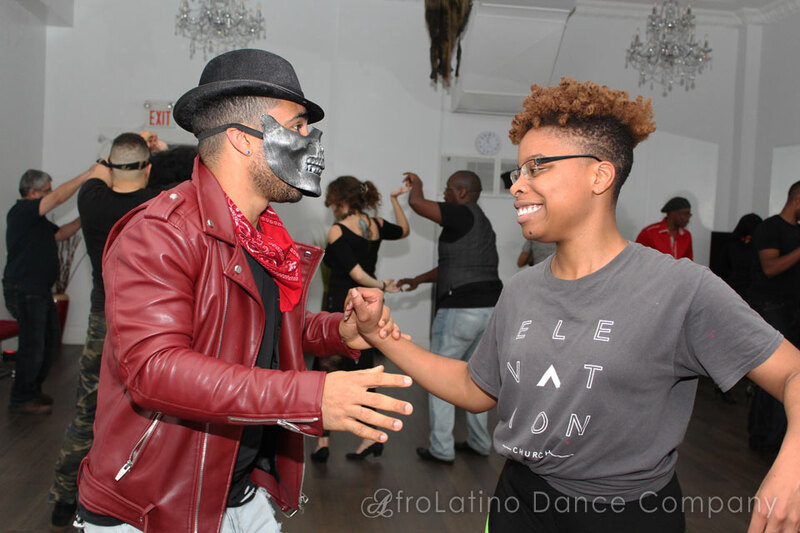 So it is even more exciting to be hosting a salsa and kizomba dance party where people come dressed up sometimes in the most unexpected costumes, sometimes incognito as even we are not able to recognize who is under that awesome costume! This year's Halloween dance social was no exception, with its share of amazing costumes and great energy brought in by many of you! 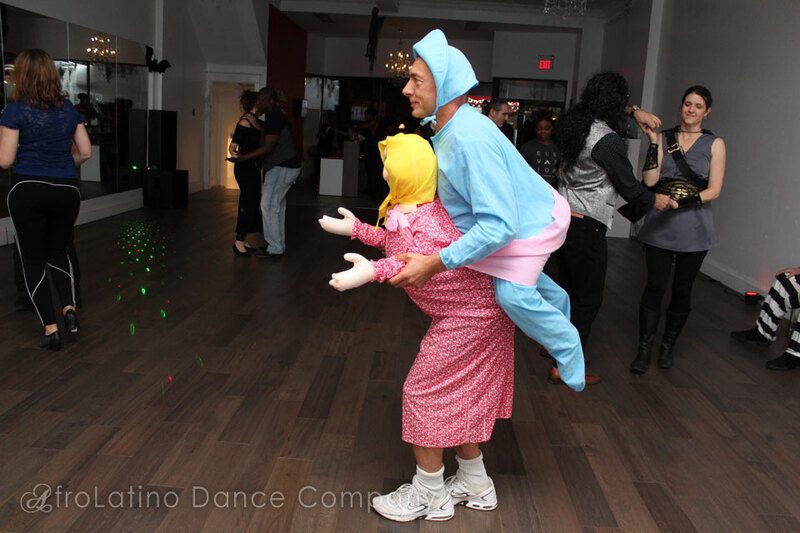 A special mention goes to Dan from Chicago who came by with his Michael Jackson Thriller impersonation (as far detailed as the coloured contact lenses), and Kris S., one of our beloved patrons that wore a most unexpected "Baby on the back of Grandma" costume, as you can attest from the video and photos below. 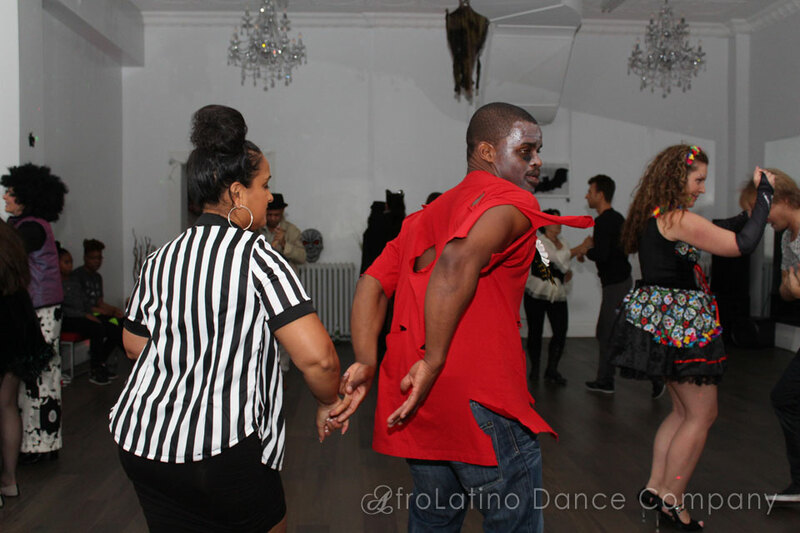 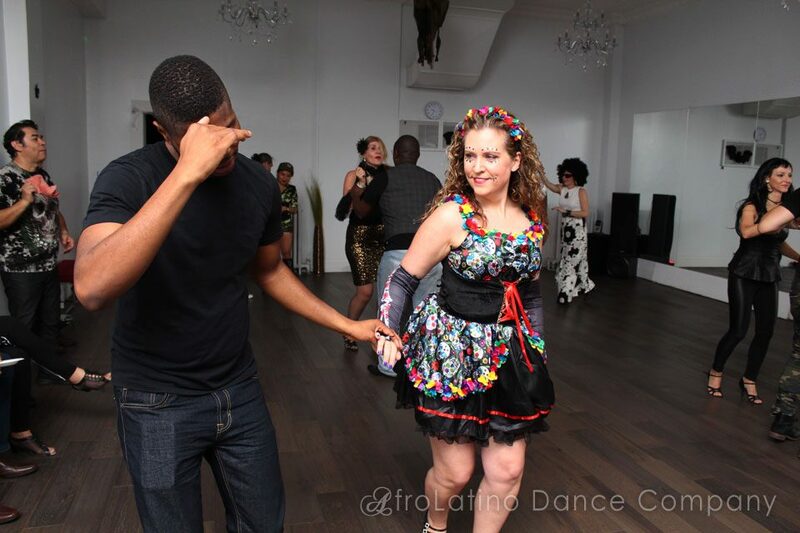 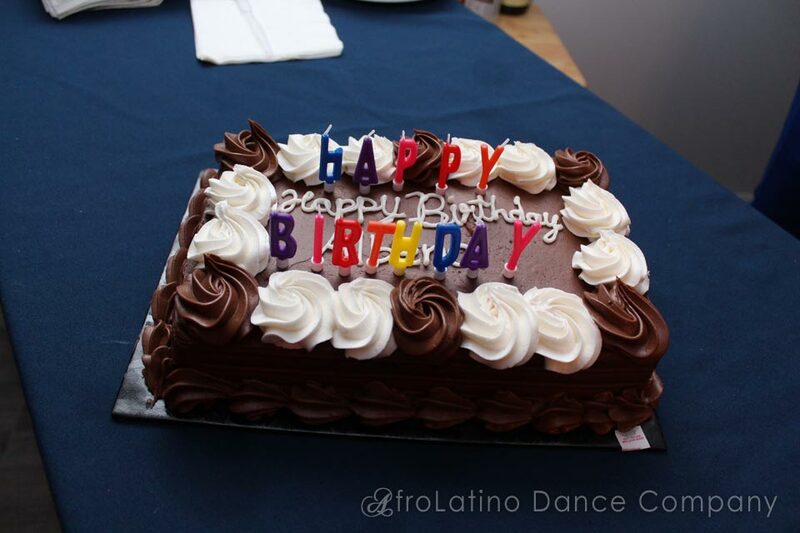 Is It Harder to Dance Salsa or Kizomba With a Costume On? 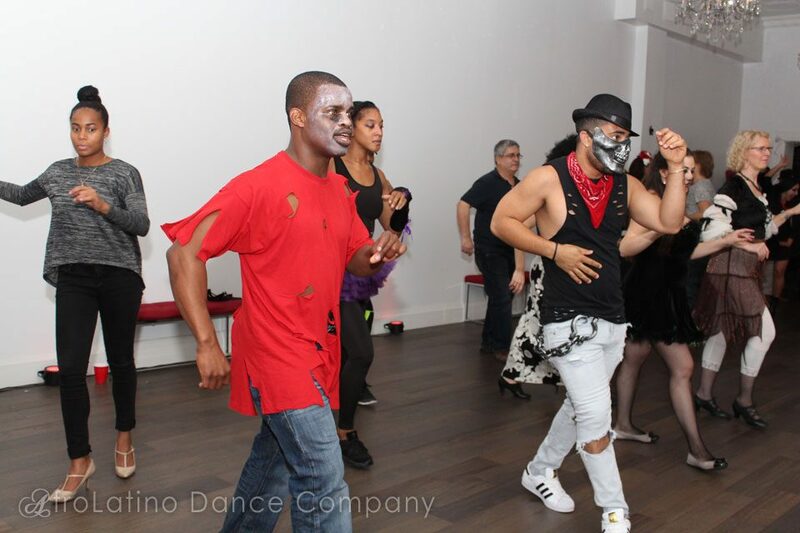 It depends on the costume, but for some it may be more challenging to be dancing with something as simple as a face mask or a head prop, if it obstructs somewhat your sight, and so for. 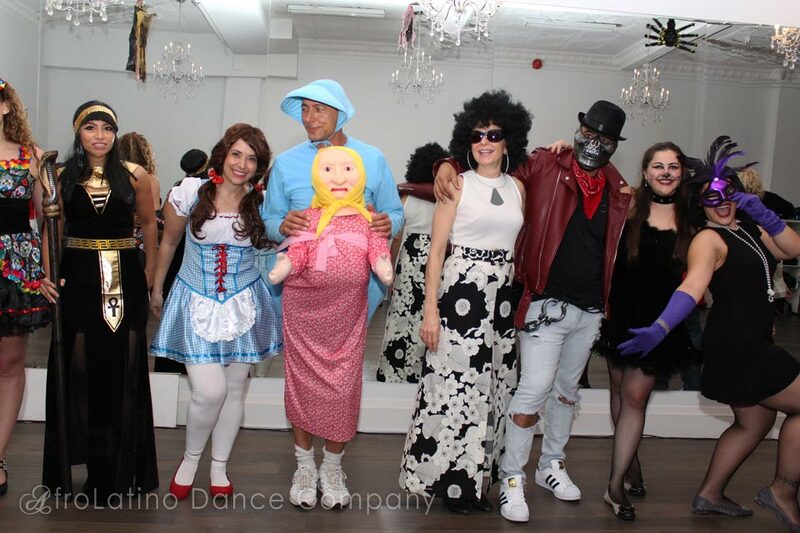 Some costumes may make you too bulky, or taller than usual, but we believe after couple of songs everyone can learn to adapt to whatever is the costume of choice for this Halloween season. 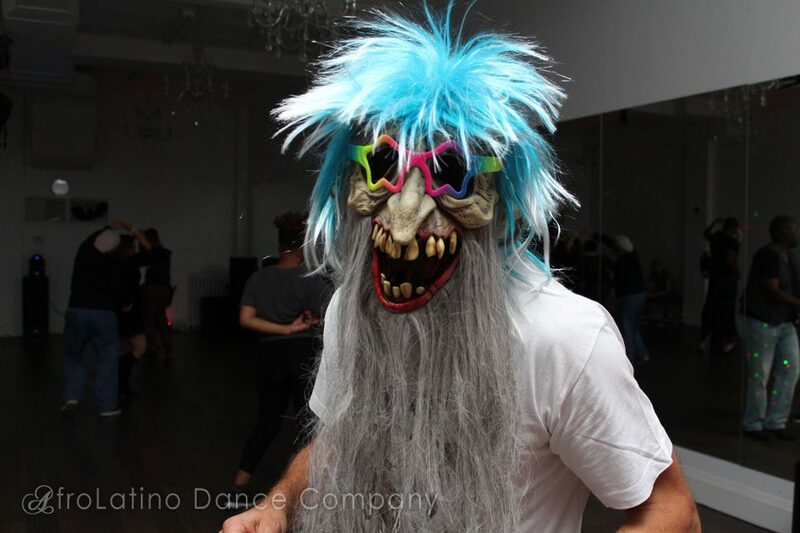 The most important thing is to be bringing in the spirit of fun, silliness and creativity to the dance floor. 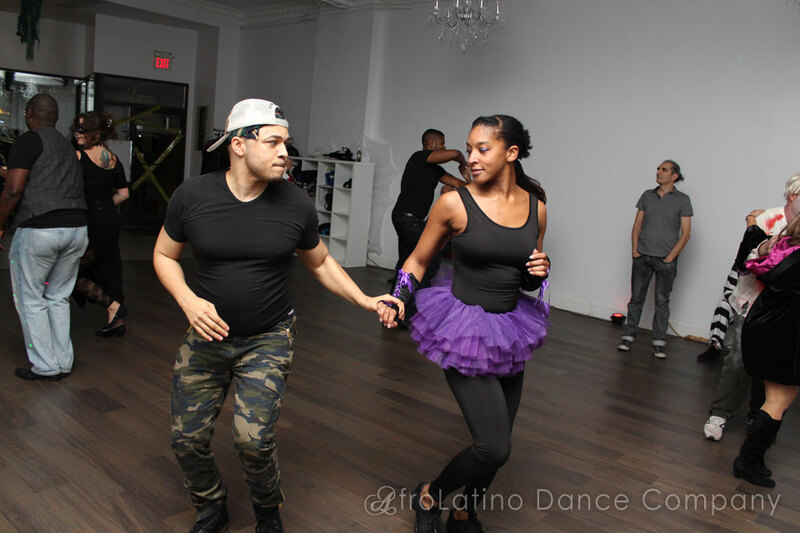 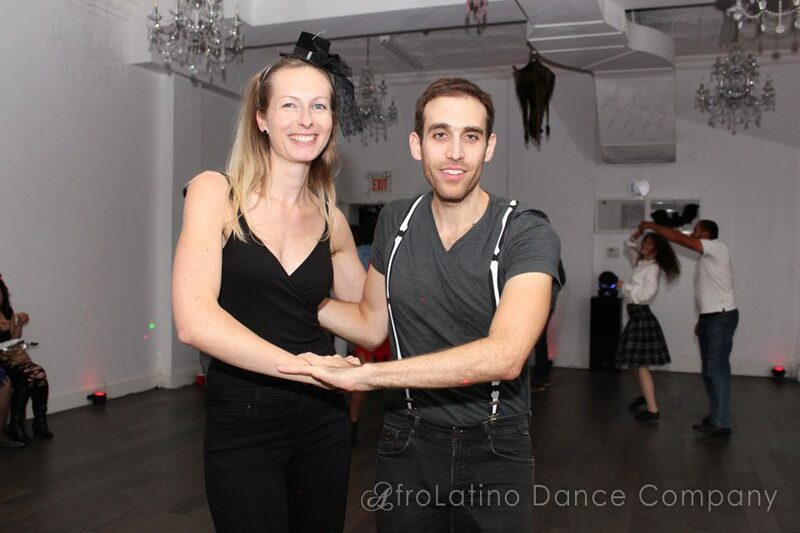 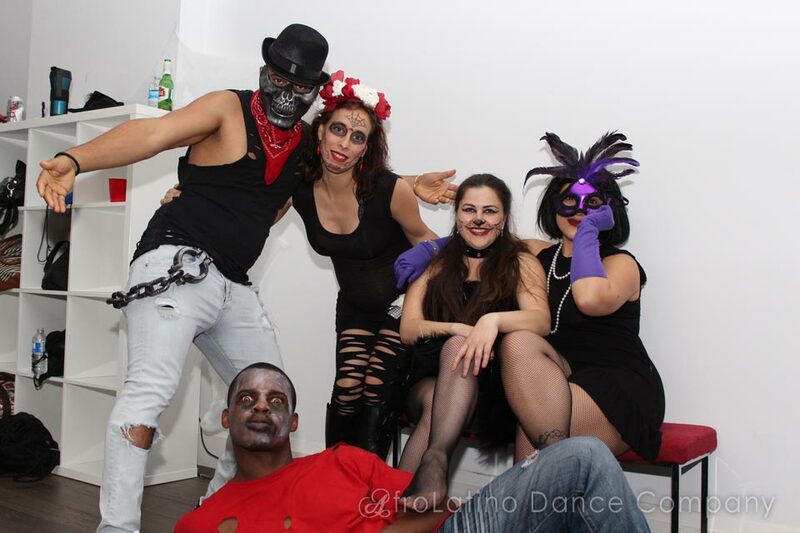 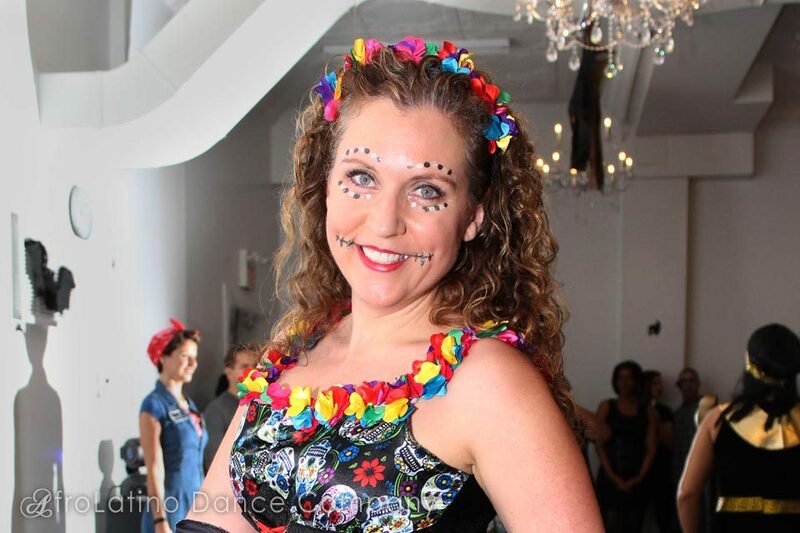 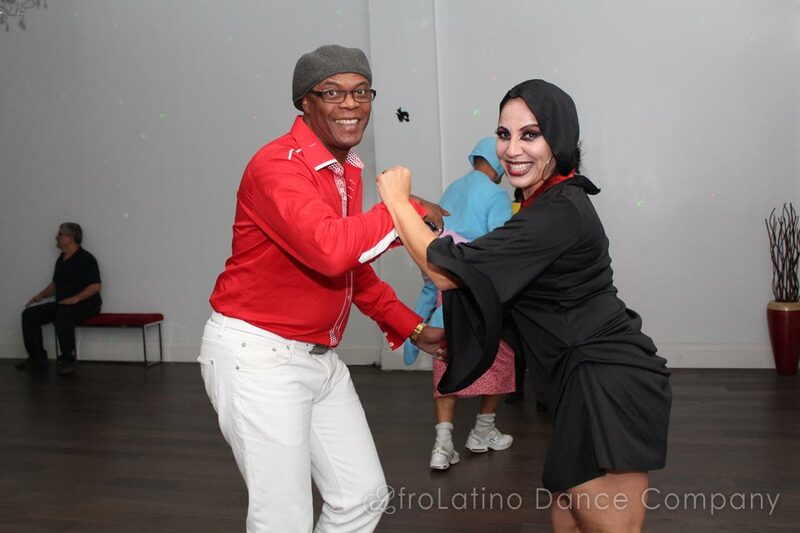 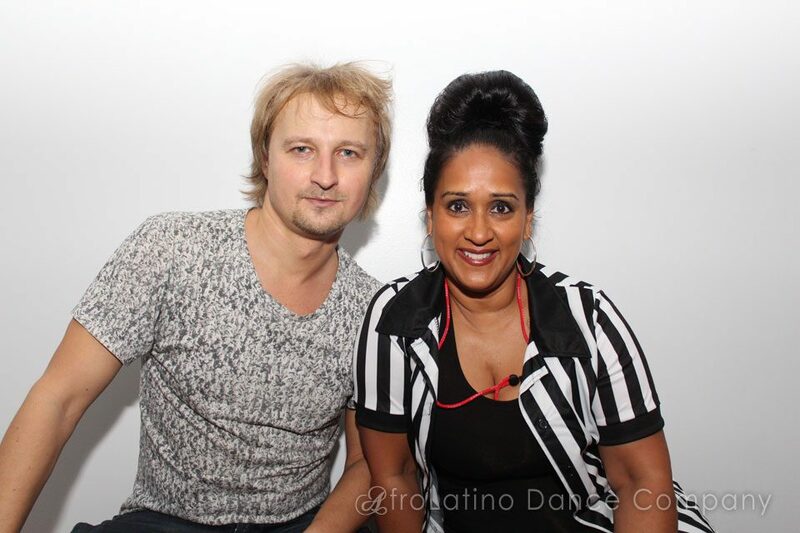 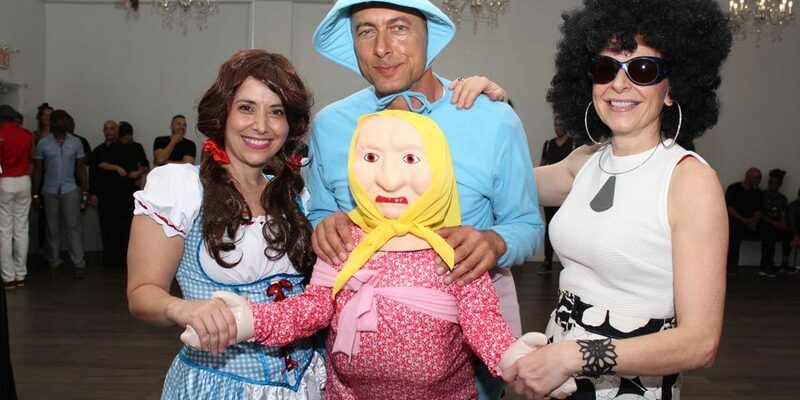 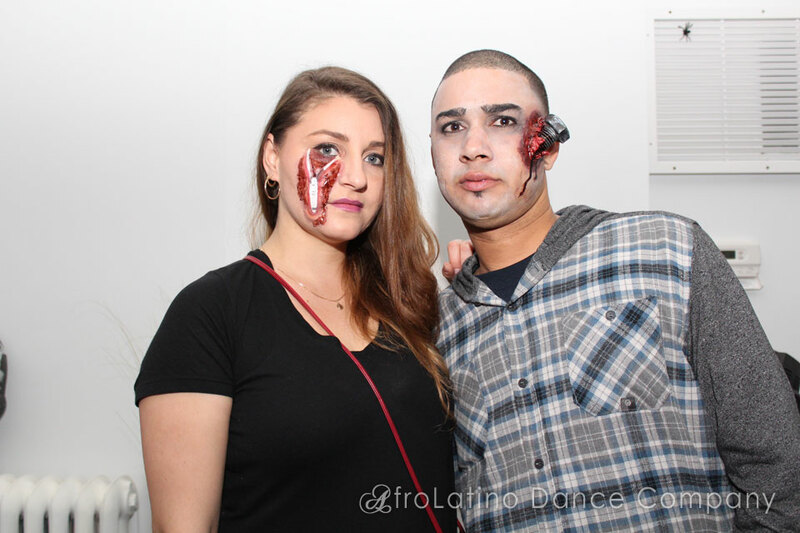 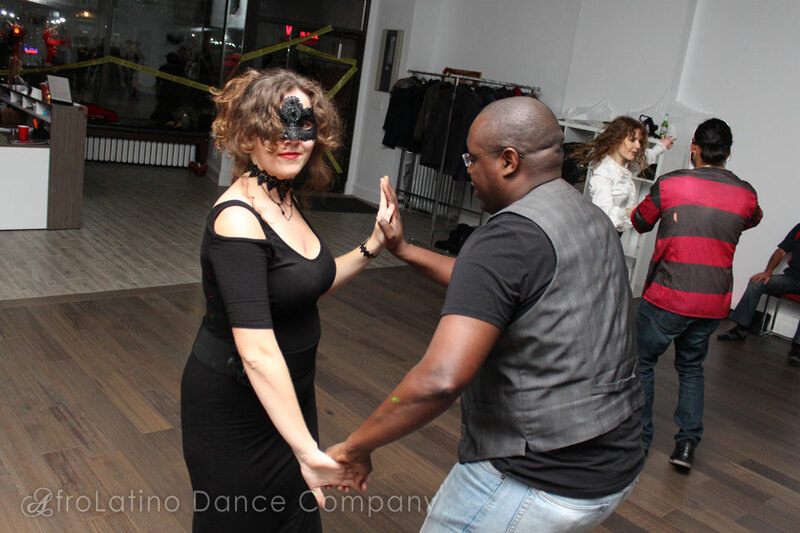 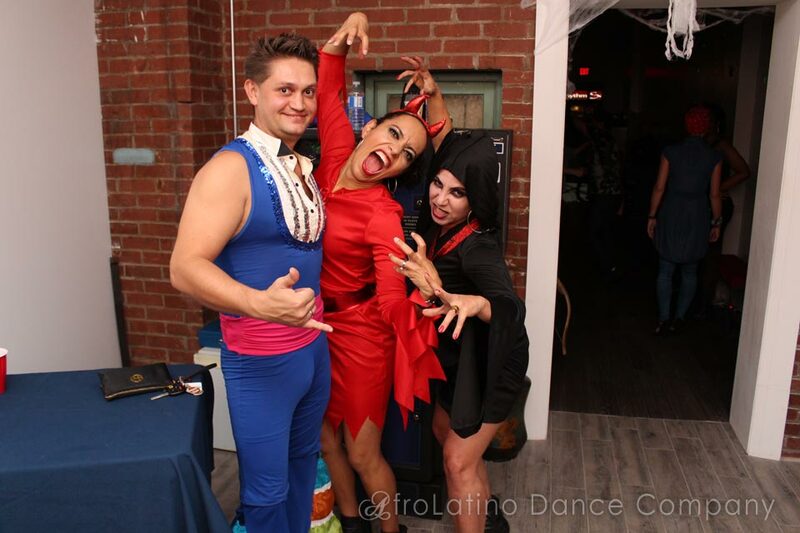 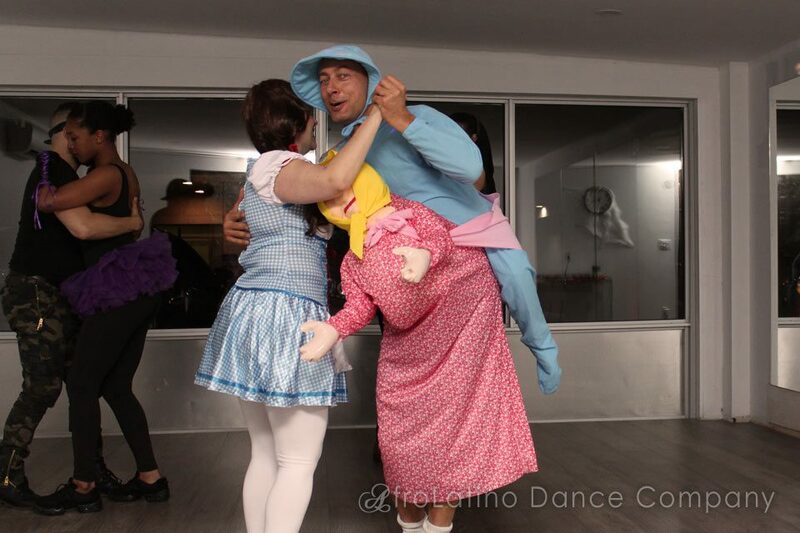 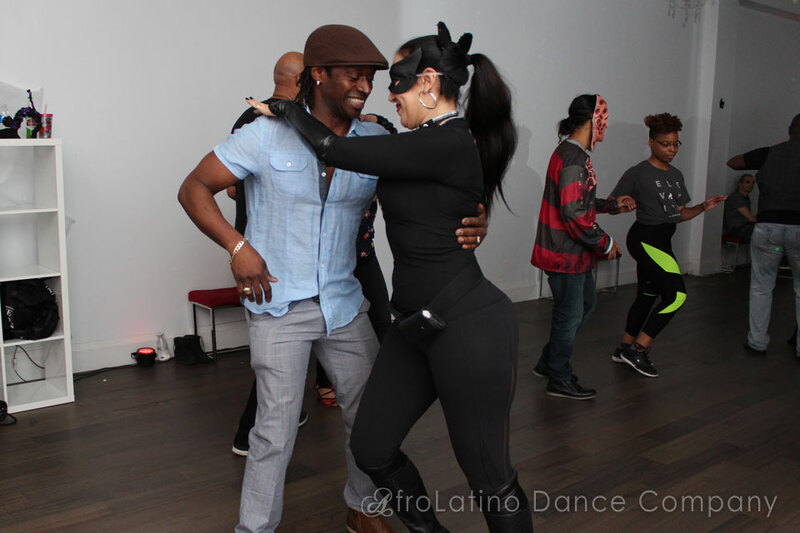 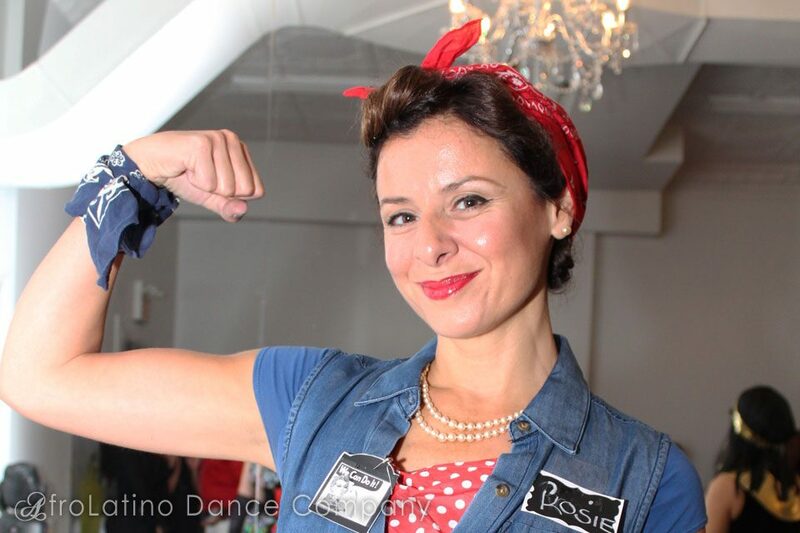 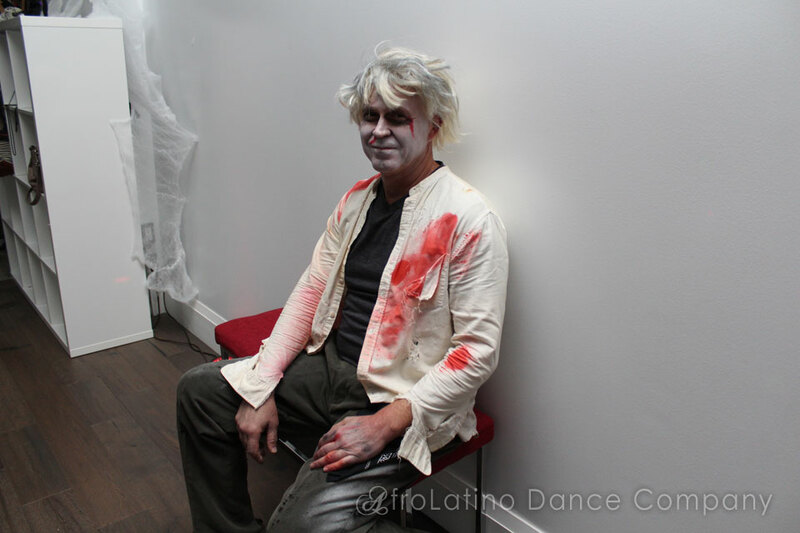 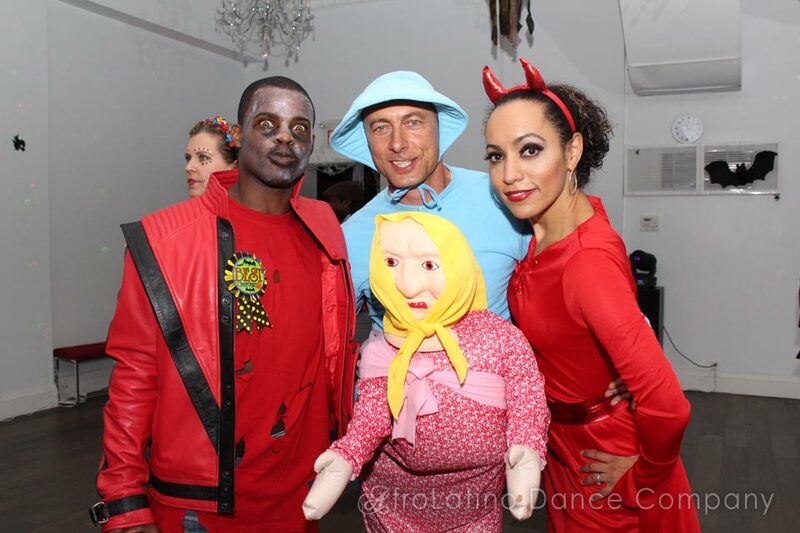 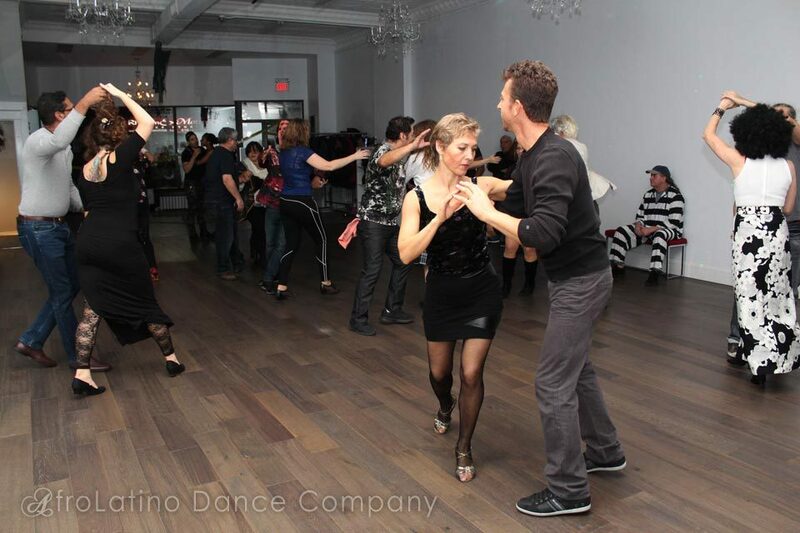 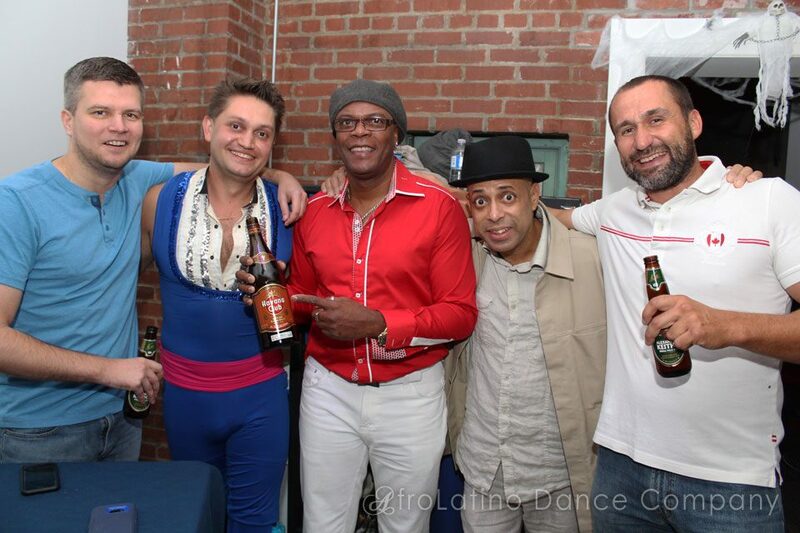 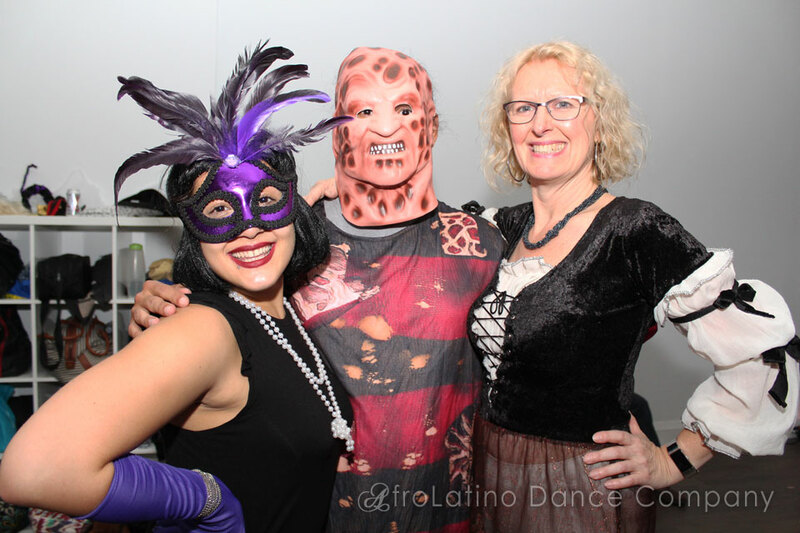 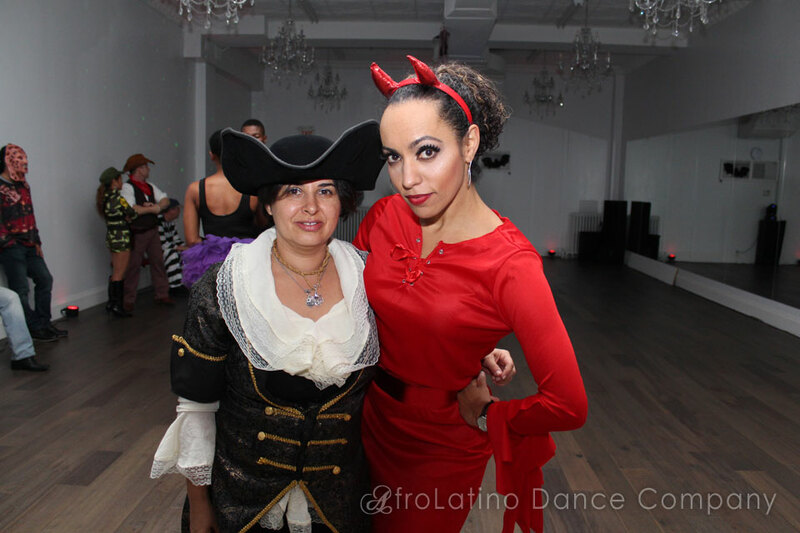 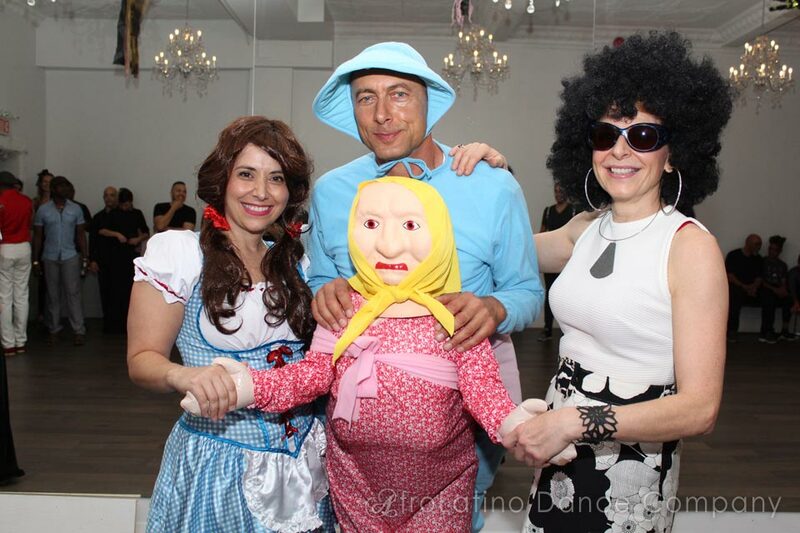 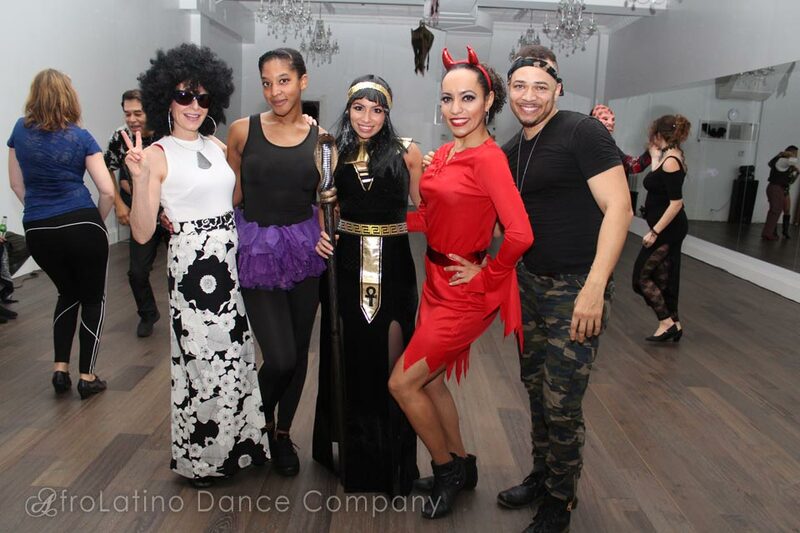 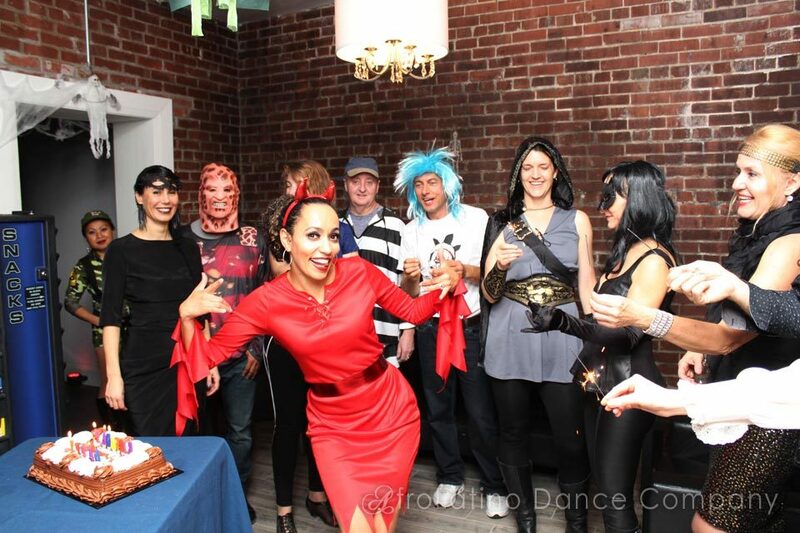 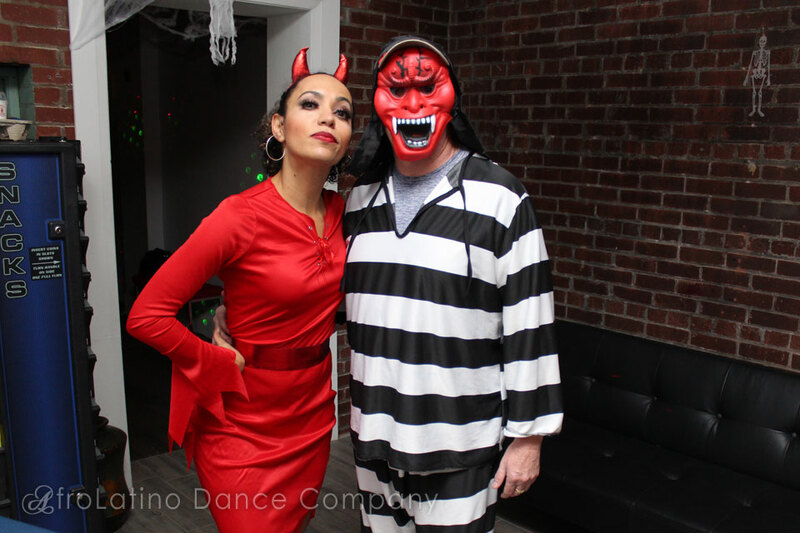 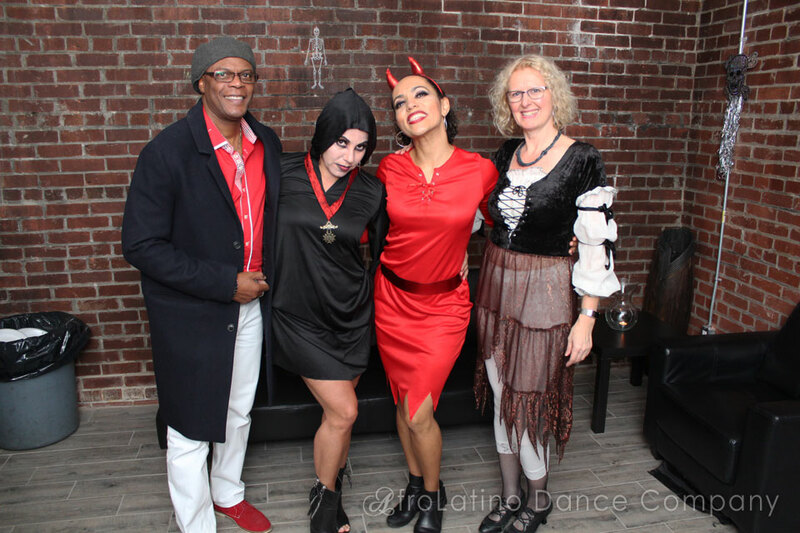 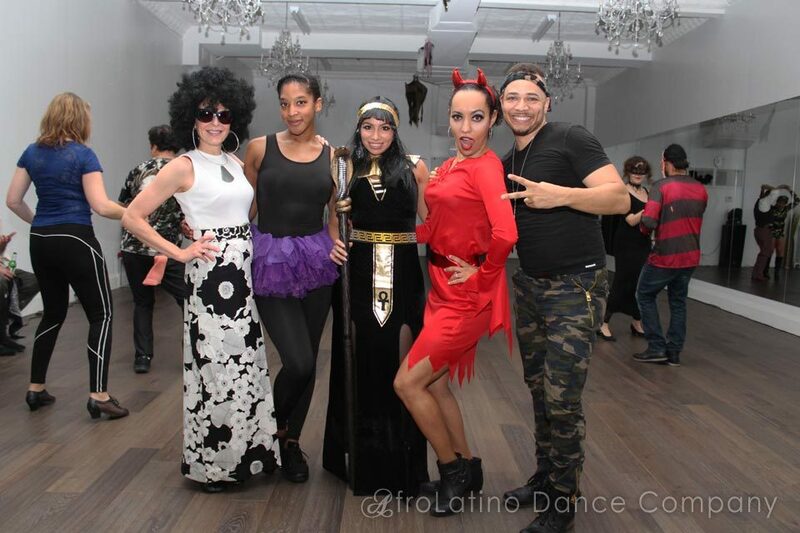 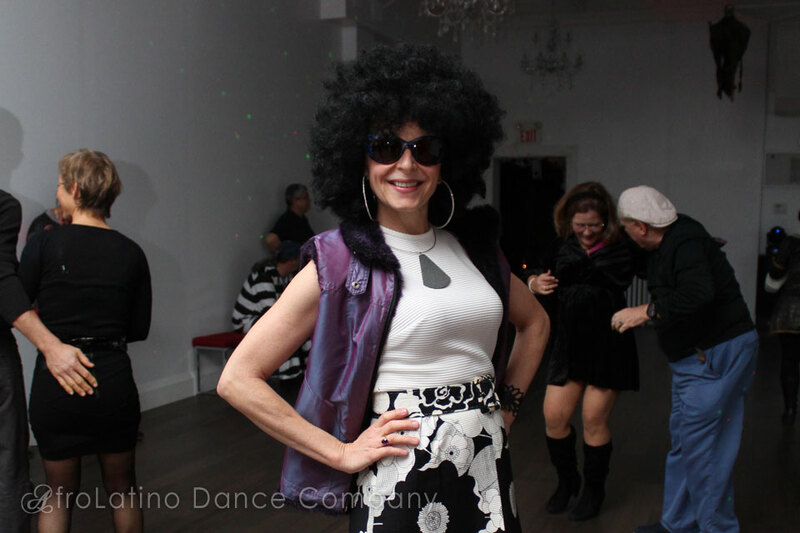 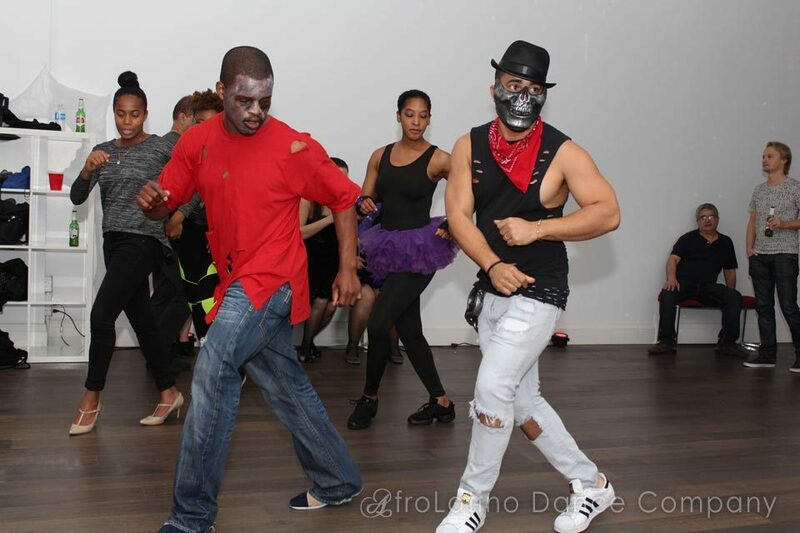 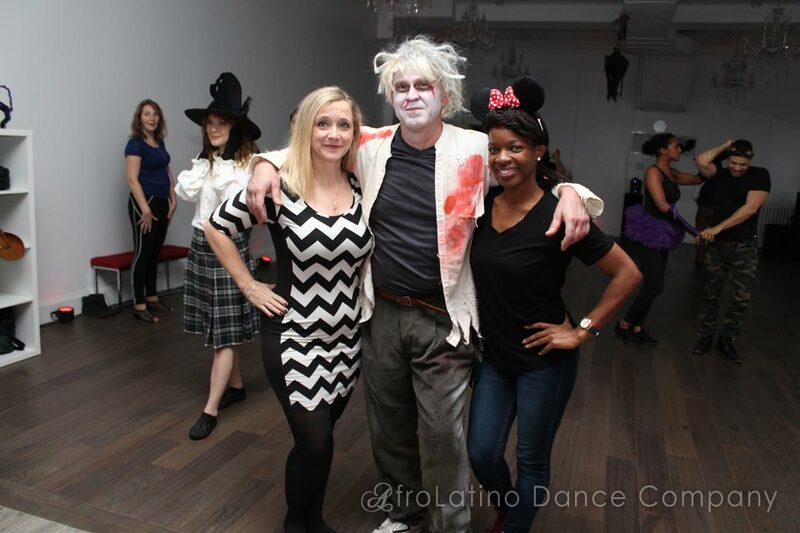 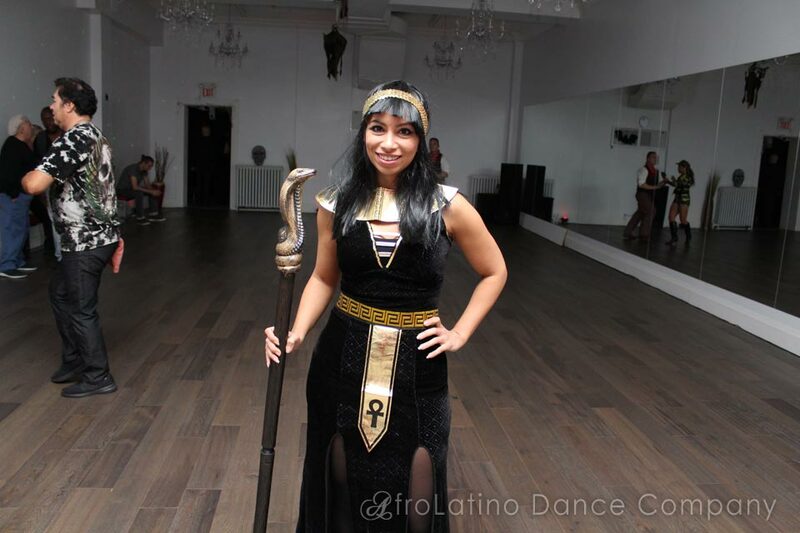 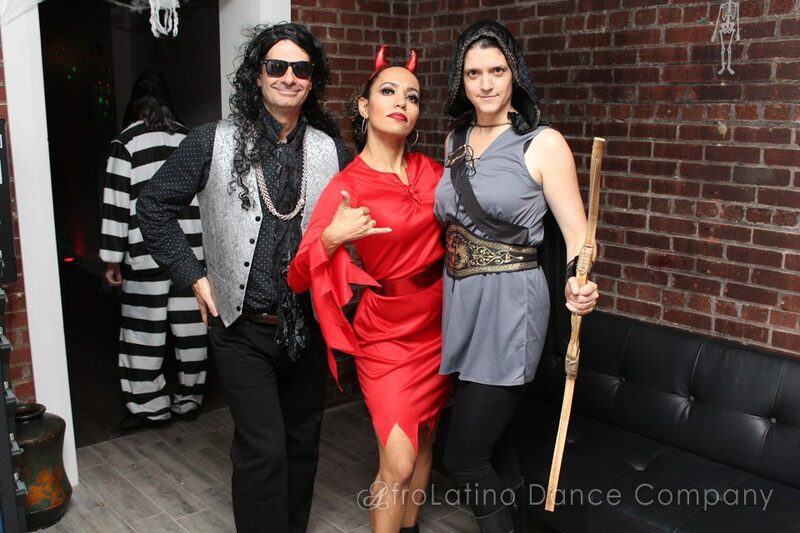 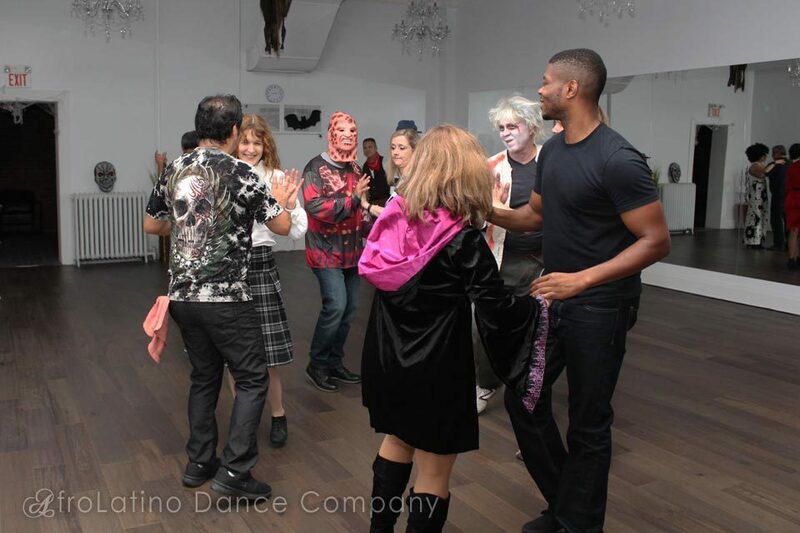 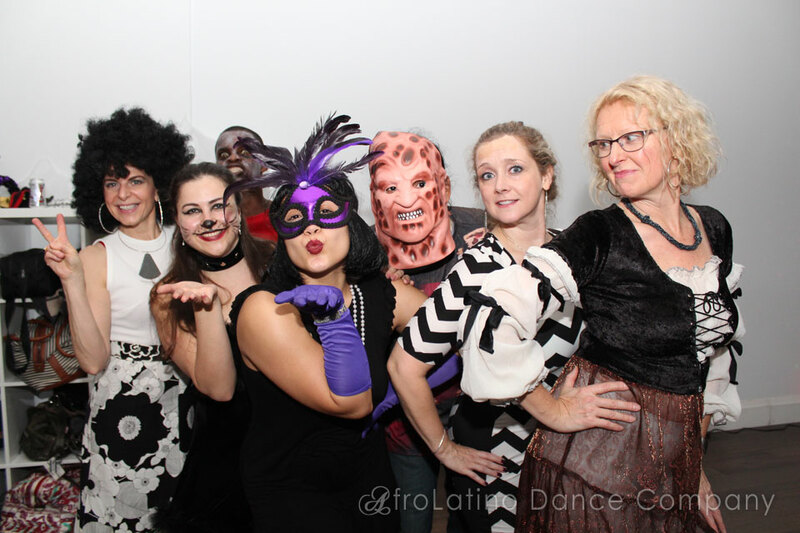 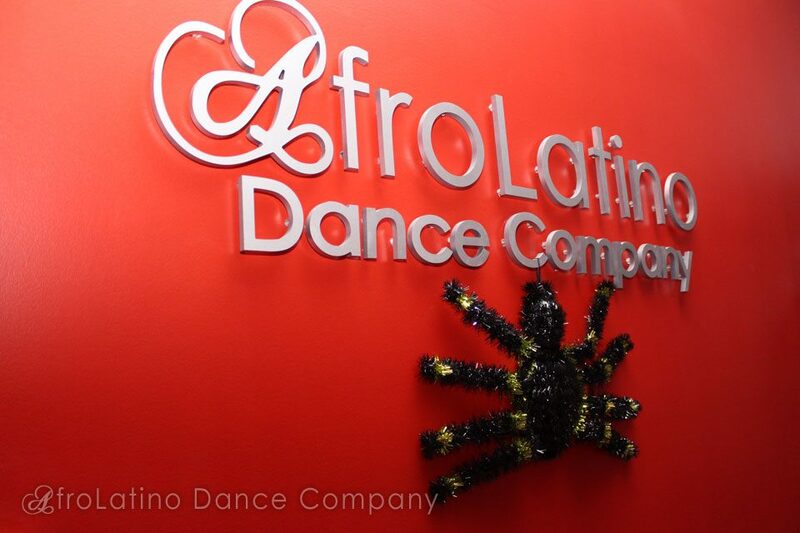 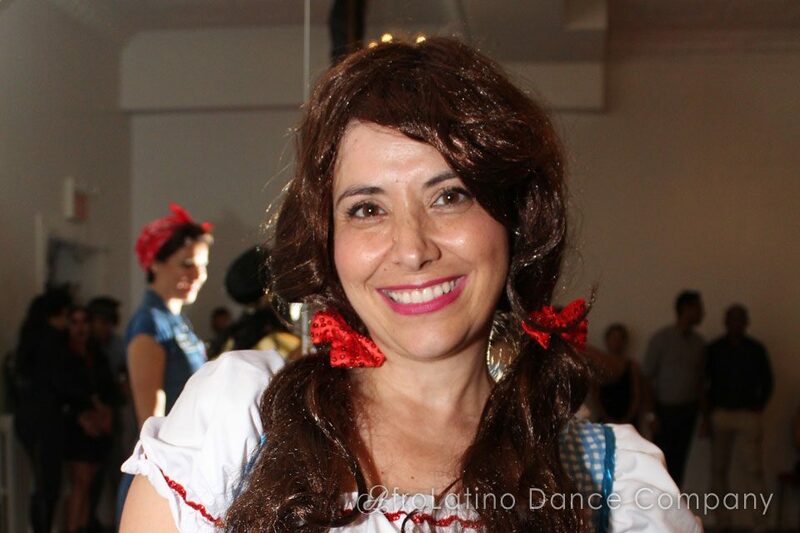 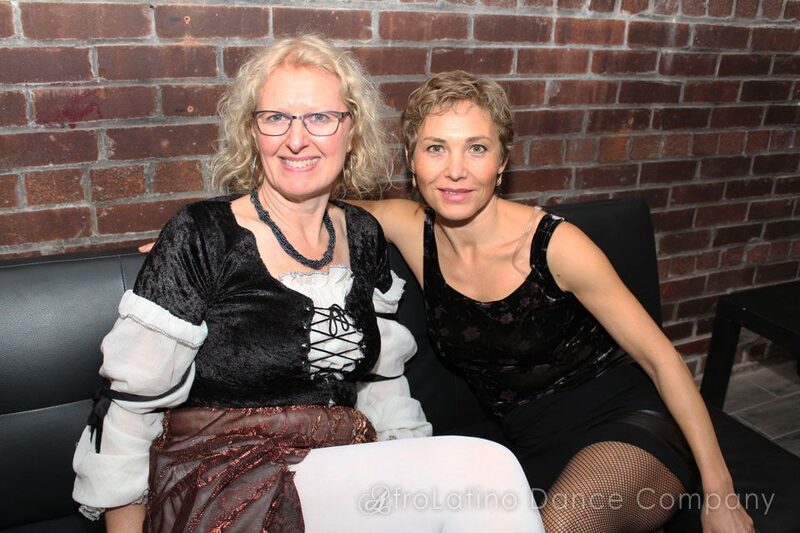 Toronto salsa dancers sure know how to dress up for Halloween and still easily apply all those awesome moves they've been learning in their salsa lessons in Toronto! 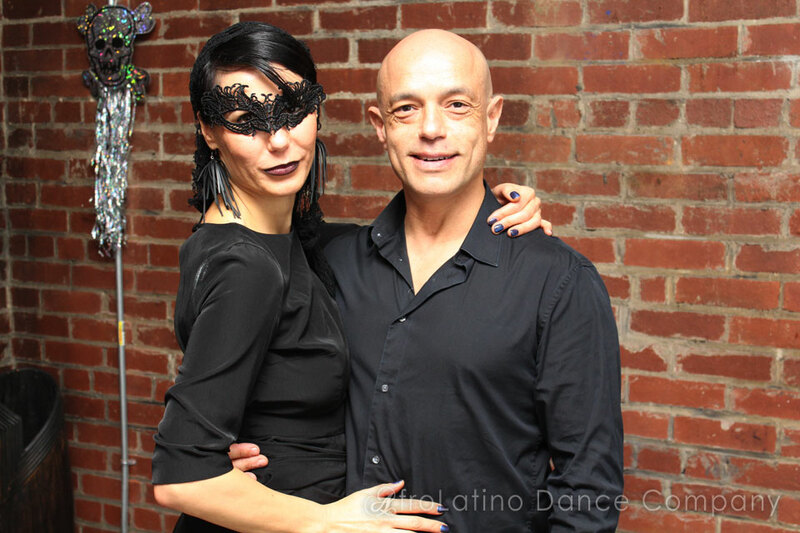 Great post and insights. 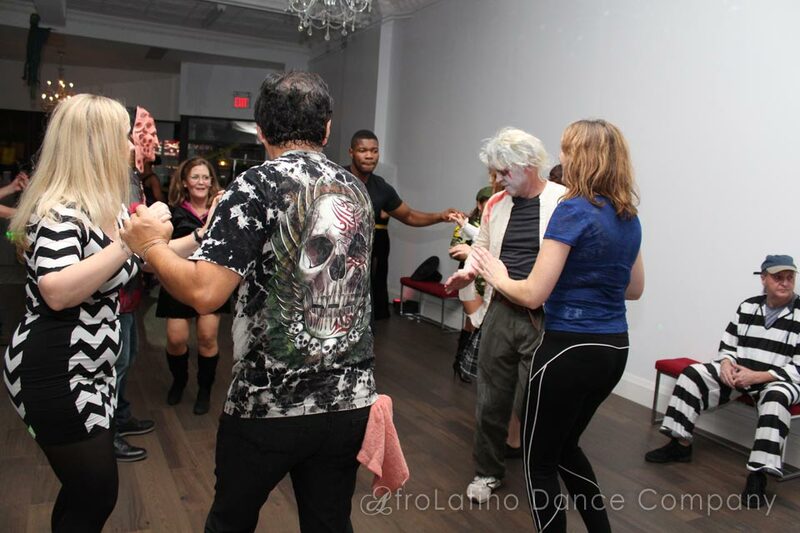 Again thanks for sharing your knowledge with us. I found a lot of useful tips from this post. 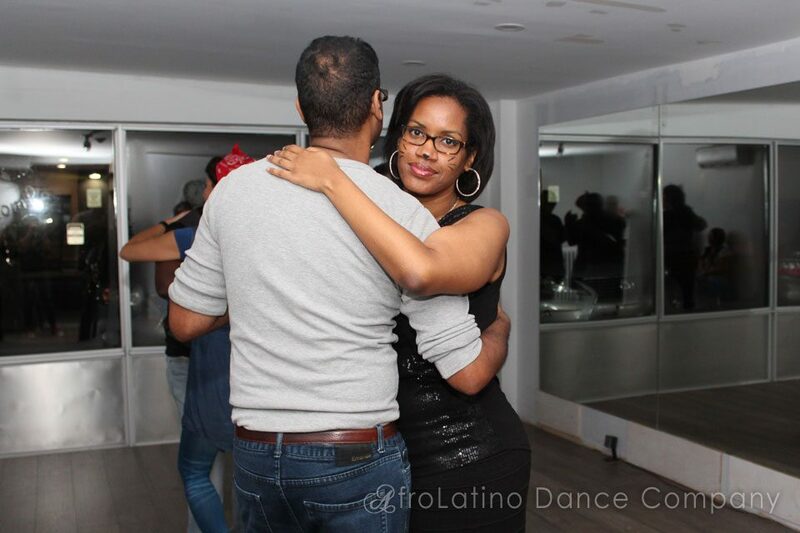 I also adore Kizomba dance. 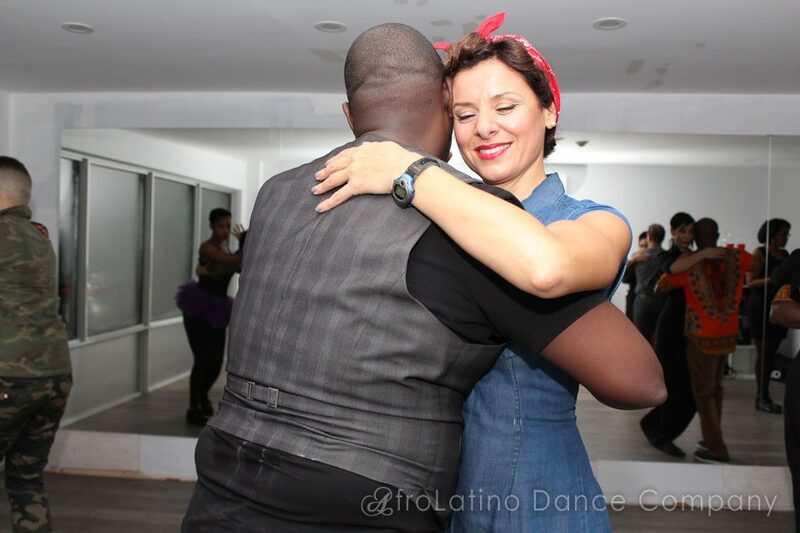 Kizomba is slow and sensual. It is fun and amazingly interesting to do. 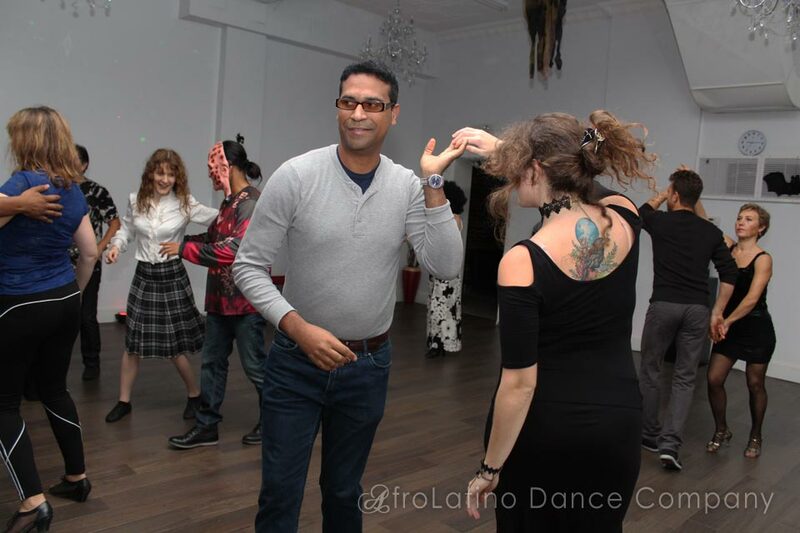 It can keep you fit physically, for sure, but also, psychologically as it is a great stress buster. 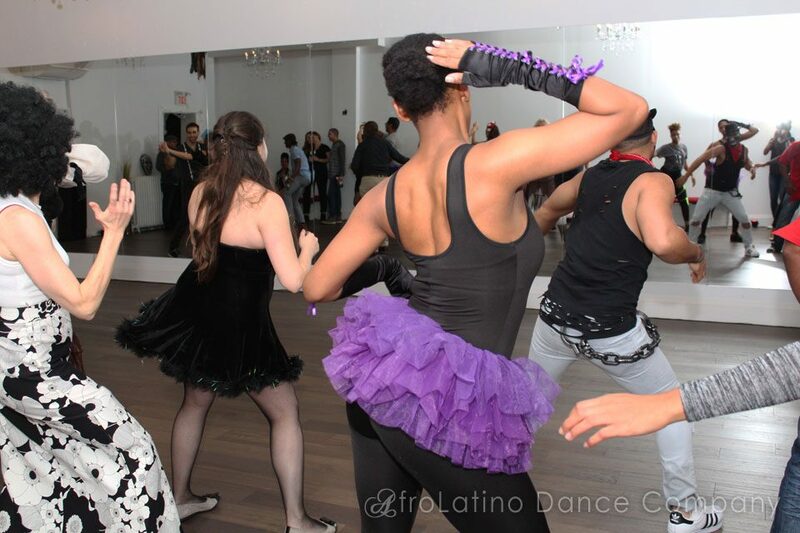 It is not only a dance form, it is an emotional and connecting piece of art. 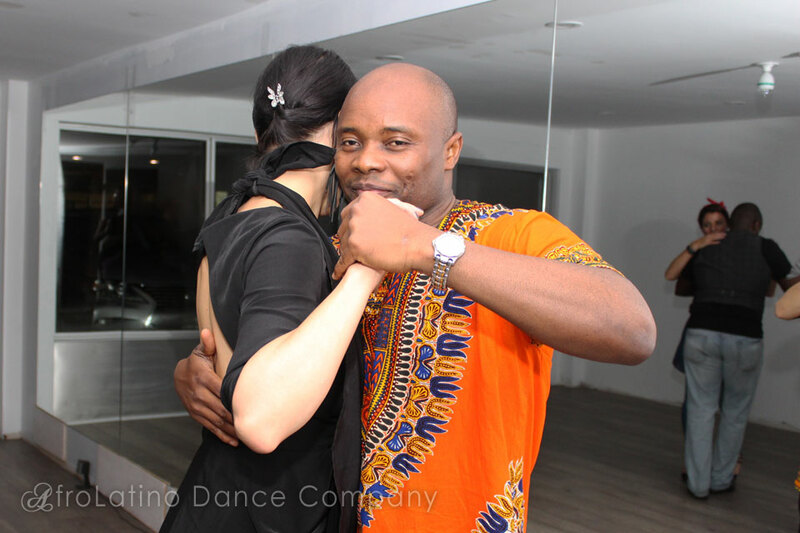 It is designed to make you and your partner feel closer and more connected emotionally.